No. 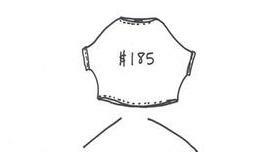 178: The internet doesn't let you shop. This is issue no. 178 of 180. The last issue had a 🕺🏾 56.25% open rate and a 🔥 33.82% engagement rate with 8.79% of you visiting this article on an amateur ad made by a film student for Adidas. Allow Benedict Evans of Andreessen Horowitz to educate you on the broader happenings of eCommerce shifts here [slide 47-on]. Bodycology throws a wrench in the entire modern apparel movement here by claiming that synthetics are toxic. And SEARS sells the Craftsman brand. MEDIA: Despite all the attention being paid to non-advertising business models, publishers are still using their old playbooks and expecting different results. Nothing will change until they stop believing widely perpetuated lies about subscription businesses. Take Business Insider, which last fall announced a plan to charge people who read more than a certain number of articles a month. Henry Blodget said the company was “very optimistic about subscriptions.” I’ve seen the paywall in the wild once, but otherwise haven’t heard a peep. ECOMMERCE: According to Fortune, Sun Capital Partners sent a letter to investors explaining that it had invested 1.8 times its $50 million investment in Limited stores. The disclosure outlines how the private equity firm will still be able to garner a profit from the investment, despite the fact that the equity value of Limited has been written down to zero. “We have worked very hard and made significant investments over nine years to improve operations and create a sustainable business at the Limited,” Sun Capital told Reuters in an emailed statement. 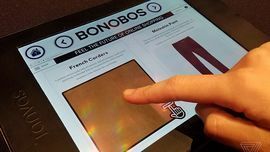 ECOMMERCE: Touchscreen technology has redefined the ways we interact with electronic devices, but while controls have gotten more precise over the years, touchscreens themselves haven’t been able to truly replicate the human sense of touch. Tanvas wants to add the ability to feel texture on a touchscreen with a new haptic feedback technology showcased at CES. In my short demo, I played with a few sample applications. One lets you drag your finger through a virtual pool with pebble floors. The haptic feedback makes it feel like water ripples are following your fingertips, and the pebbles underneath create a slight “bump” between every other stone. It feels really zen. 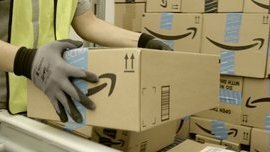 ECOMMERCE: It’s the latest example of Amazon pioneering a new product category and then going on to dominate it. Amazon has become the leader in the e-book market on the strength of its Kindle line of e-readers. 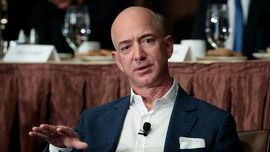 And it dominates an important segment of the cloud computing market; Amazon Web Services is expected to generate $12 billion in revenue this year. Next year, Amazon is hoping to start doing something similar for brick-and-mortar retailing. The company recently unveiled Amazon Go, a convenience store whose no-checkout technology could revolutionize the retail sector. 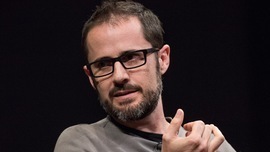 ECOMMERCE: Resy was founded in 2014 by Eater.com cofounder Ben Leventhal, entrepreneur Gary Vaynerchuk, and CrowdTwist cofounder Mike Montero. Resy allows users to make reservations at restaurants in more than 50 cities nationwide, competing with reservation booking site OpenTable. Resy says it now seats more than 1.4 million diners each month and has roughly 1,000 restaurants on the site. 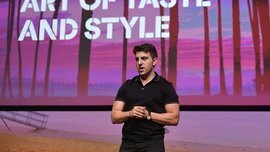 Editor's Note: Airbnb is fleshing out one my theories about the consumer focus on experiences over possessions. BRAND: Abercrombie & Fitch closed 60 stores last year and 200 in the last two years. In 2017, half of its domestic store leases will expire, providing opportunities for further store closures. Direct-to-consumer sales grew 2 percent in the third quarter of fiscal 2016, reaching 23 percent of total net sales. The company has also launched in-store pickup options for online orders and, in October, it debuted a redesigned website to coincide with a refreshed marketing strategy and holiday campaign. ECOMMERCE: “Our U.S. strategy is simple and clear,” Ma said in a 2015 op-ed. “We want to help U.S. entrepreneurs, small business owners and brands and companies of all sizes sell their goods to the growing Chinese consumer class.” Will that create a million jobs? Call me skeptical. But it’s the type of talk everyone knows Trump loves to hear. 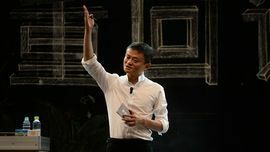 The meeting comes at a crucial time for Alibaba, which was recently placed back on a list of “notorious” counterfeit marketplaces by the office of the top U.S. trade official. ECOMMERCE: Ten years ago, the future of brick and mortar retail sill looked bright. The aforementioned retailers were worth a collective $400 billion, and Amazon was only valued at $17.5 billion. But disruption often comes without warning. Or if there were warning signs, they went unheeded by retailers. Big box and department store sales plummeted, as consumers increasingly went online to do their shopping. This year, it is estimated that revenues are equal to just 62% of their totals in 2006. CAPSTONE: This has drastically changed the way we think about clothing as a society, and not just for those who grew up with fast fashion. The past fifteen years seems to have affected older demographics just as significantly as those that don’t know anything other than a world with $10 jeans. We have all been conditioned to believe that, regardless of inflation and regardless of price increases in other areas, clothing is getting cheaper. What’s more, the total amount of money we spend on clothing as a percentage of personal spending continues to drop. ECOMMERCE: Traditional eCommerce solutions are not headless and require more than just a mask from the nearby Halloween store. Traditional eCommerce solutions, such as Magento or Shopify, have a predefined front-end that allows for the most basic eCommerce features. 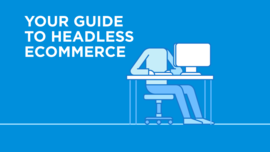 You might be thinking, “That’s great and everything I need!” But what if I told you that headless eCommerce could give you all of that, exactly the way you want, and not the way Magento or Shopify forces you to think you want? Mid market is future of ecommerce. 10 years ago Casper would have swept. Now 20 competitors overnight. Easier to get big harder to get huge. Dylan is a friend and professional partner of mine. For one, he throws great professional parties and seems to know how to scale an agency faster than Amazon scaled Prime. Needless to say, he knows what he's talking about but I think that he is off here. As Google, Bing, and Yahoo continue to lose market share to Amazon in search, mid-market brands will be harder and harder to find unless they too are selling on Amazon. 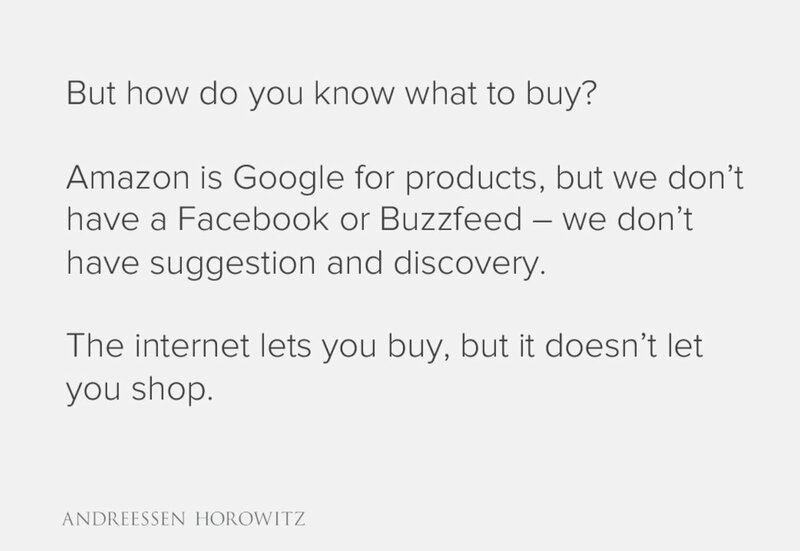 And the "Catch 22" is that if you're a younger brand who sells on Amazon, your brand will suffer in the long run. Historically, this has been the sentiment and I don't see it changing much. Mid-market eCommerce ($2-25M) will get harder, not easier. On occasion, I like to consider the words of my friend Paul Munford, the esteemed Editor of LeanLuxe. Today he riffed on the article linked above called: "The Trouble With Mall Brands." The old brands, as much as it pains us to say it, are being replaced by these upstarts. Because Gap is faltering has everything to do with Everlane being the new Gap, as it does Gap's ongoing internal issues. Its time has passed, and Everlane was happy to swoop up Rebekka Bay after her stint at the Gap. They've given her a contemporary platform to do something better. 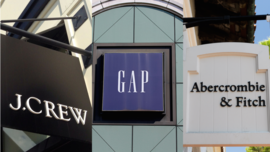 No matter what analysts may say, no matter what executive boards may attempt to do to 'right the ship,' the fact is that these mall brands just aren't part of the lexicon like they once were. Shoppers have been swept off their feet by MLCs, and try as you might to fix it, sometimes there's really nothing that can be done once the tide has shifted in a completely different direction. Let's take every well-capitalized brand with PR firms good enough to keep their executives in the press each week: Outdoor Voices, Bonobos, Chubbies, Mizzen+Main, Ministry, American Giant, Bevel, Casper, Combatant Gentlemen, Dollar Shave Club, Everyone, Frank & Oak, Indochino, Jack Erwin, JustFab, Ledbury, MVMT, Mack Weldon, Snowe, Track Smith, Warby Parker, Rhone, and Harry's. These are called digitally vertical native brands or DNVB's (Andy Dunn is a national treasure for that one) and before "brand" there is an emphasis on "digital" and "vertical." The reasons for the crumbling of the mall economy have been extensively covered on 2pml.com and those reasons extend far beyond how compelling the brands are. So far, MLC's have won on convenience and eCommerce plays a major role in their product availability. As such, it may be a stretch to say these younger brands are greatly impacting the market caps of the incumbents. Well, so far. Digital won't always be the most convenient for these younger brands. And this is where the crux of my argument has been for a few years now. Vertical brands are considered more convenient and narrow because they entered a market in an efficient way. This, as consumers began shifting towards eCommerce. 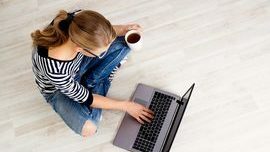 When major retailers decide to readjust their market expectation and refocus on digital efforts (narrowing their offering and availability), the playing field will again level as the aforementioned MLC's continue to mature. When the playing field levels, it is then when each brand's value proposition will shift from digital and vertical to superior branding. When product grows old enough to become commodity, brand and marketing becomes the focus (and often the most difficult proposition). And if these vertical brands capitalize on building superior one, the new guard will become the old.